Meet Patches the neighbor's cat. 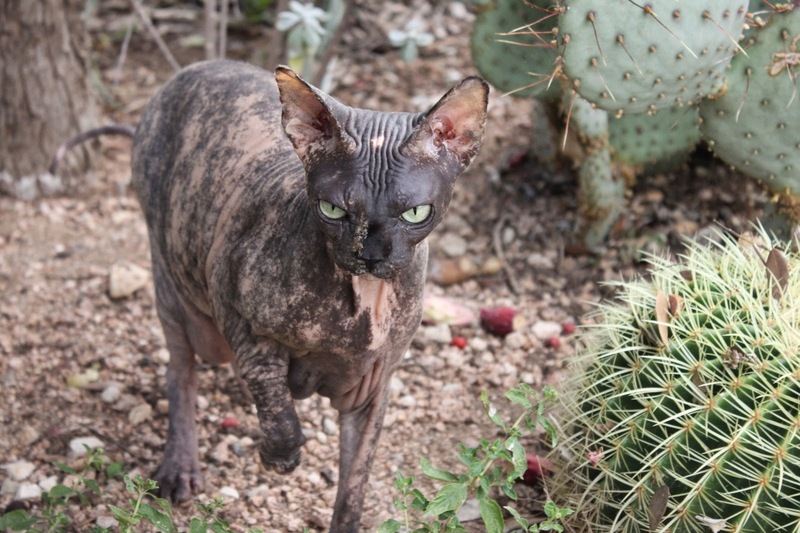 She's a hairless cat which gives her an awesome Halloween costume. Oh, those eyes! 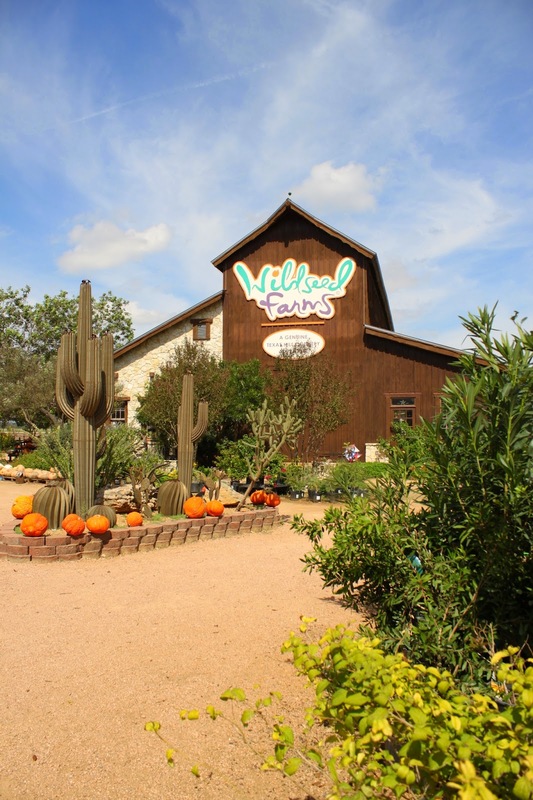 In early October I joined members of my neighborhood garden club for a trip to Wildseed Farms in Fredericksburg just over an hour away from San Antonio. Wildseed Farms is the largest working wildflower farm in the country and is well known as a mail order source for wildflower seeds. It's a beautiful facility designed to match its surroundings of historic Fredericksburg. We were greeted by John Thomas, President and Founder of Wildseed Farms, who guided us on a detailed tour of the main buildings. Wildflower Wednesday hosted by Gail at Clay and Limestone on the fourth Wednesday of each month also happens to fall in the middle of Texas Native Plant Week. This makes it fun to post about both at the same time by taking a tour of the Texas native wildflowers in my garden. 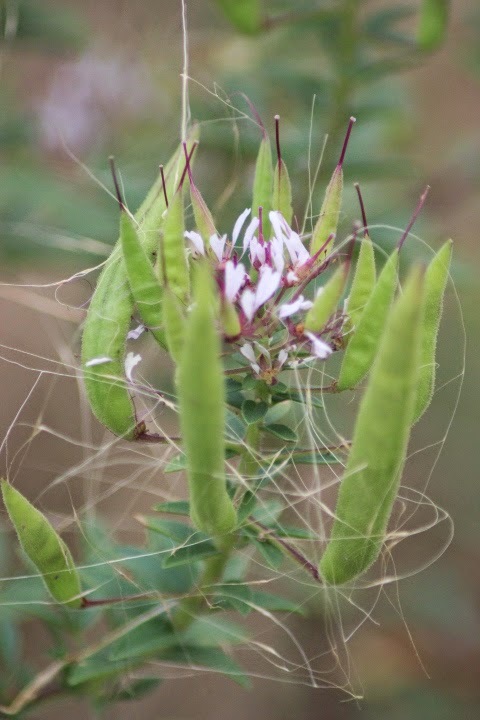 We'll start with Clammy Weed (Polanisia dodecandra). These native annuals provide a succession of blooms through our hot summers. As one group fades and goes to seed another takes its place. They are prolific reseeders and I look forward to having them in the garden for years to come. It's Texas Native Plant Week and my posts this week will reflect that theme. First up is a visit to Madrone Nursery which doesn't just specialize in Texas native plants--it's the only kind of plant they grow. 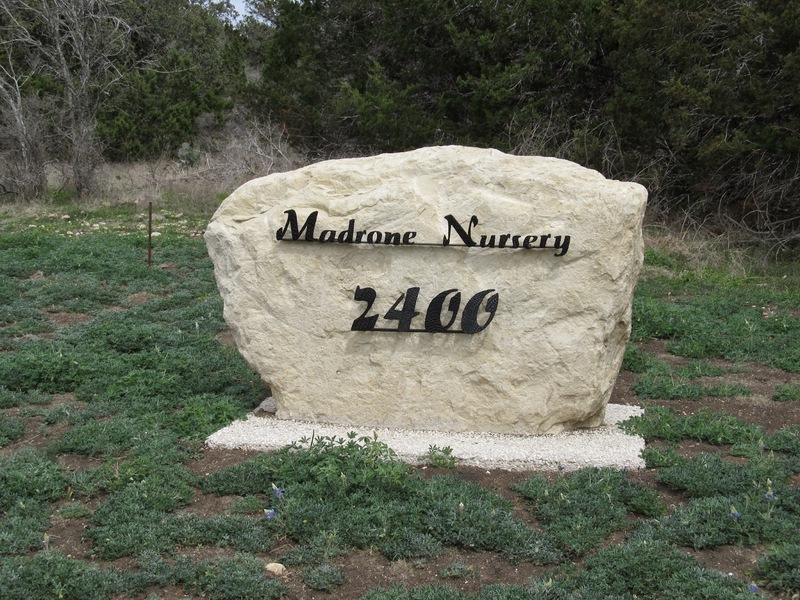 Madrone Nursery is located in San Marcos an hour's drive northeast of San Antonio and half way to Austin. Founded by native plant expert Dan Hosage, it is open by appointment only. Last March I joined a field trip with friends to Madrone Nursery and enjoyed a day of shopping for native plants. The Texas Bluebonnets were just beginning to bloom around the sign along the road when we arrived. 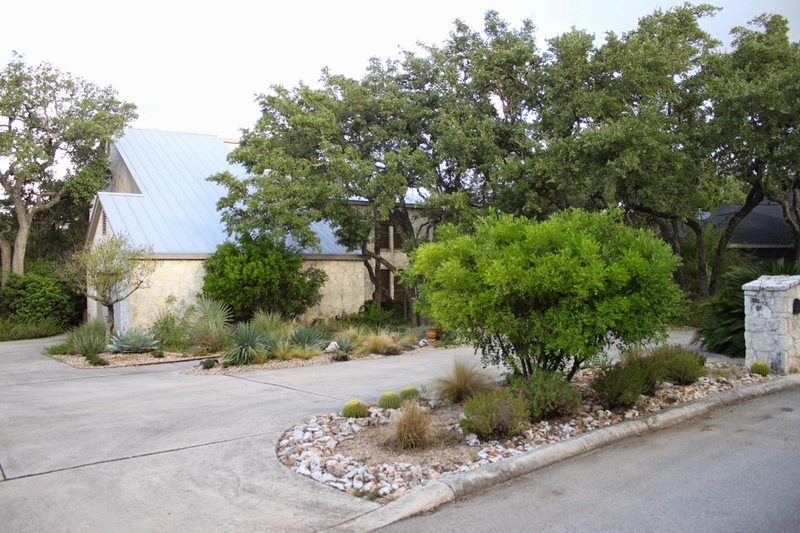 When I attended the San Antonio Watersaver Landscape Tour as both volunteer and tour goer last weekend it was with the idea in mind that my yard might be on the tour next year. We've turned down requests the last two years and it does seem my gardens are getting closer to where I would feel comfortable opening them to the public. The big challenge is the timing, the first Saturday in October makes it tough to prepare a garden for the tour. 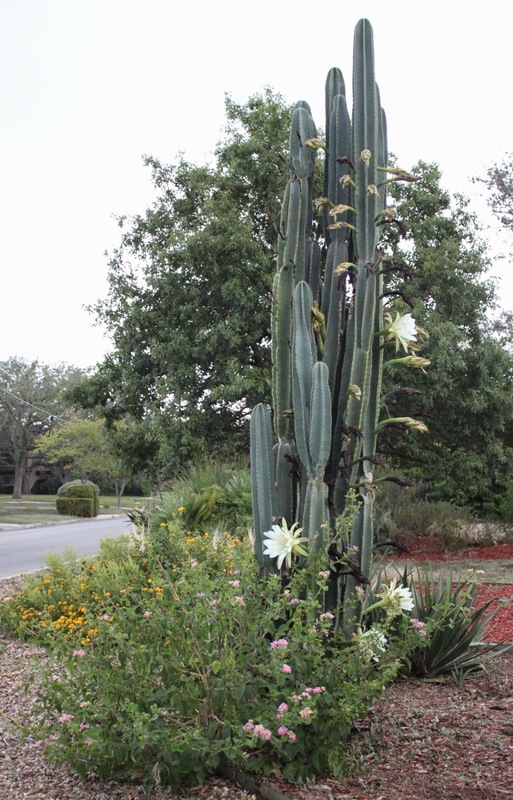 San Antonio gardens are usually still recovering after hanging on through the August heat and September is often too hot for plants to do any serious blooming or for the gardener to get much done. My garden is at its autumn best later in October or early November. To see how things might look this time next year I took some photos around the tour date as a reality check. 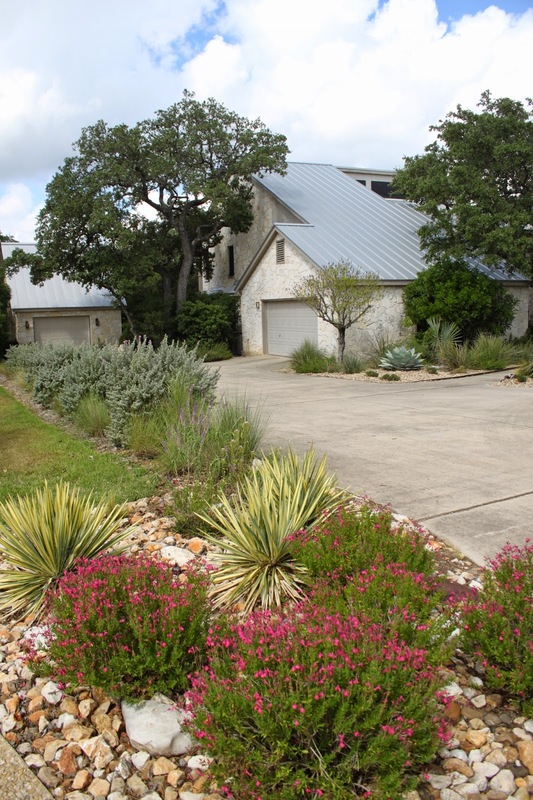 The narrow driveway landscaping looks good even without the sage in bloom. There are no guarantees on these blooms since they need rain to bloom and sometimes that doesn't happen for months. 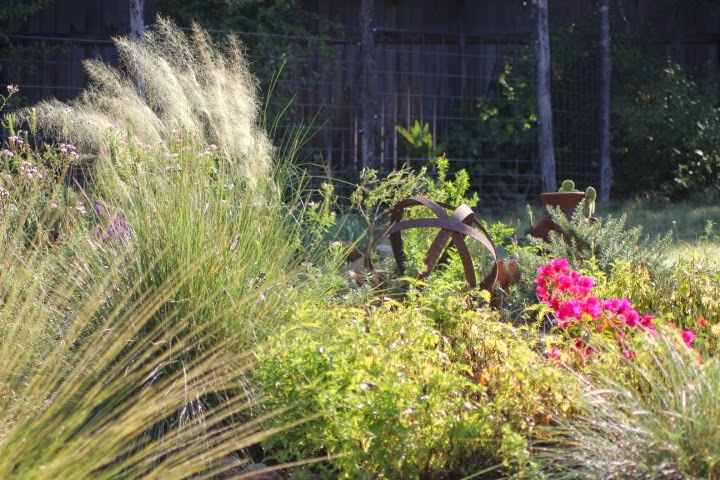 Pink muhly grasses are just now sending up a few tentative plumes which will not blow open for a few more weeks. 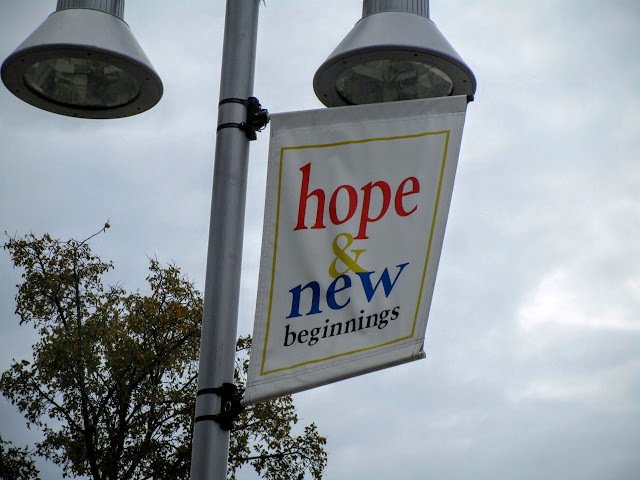 One of my first posts on this blog back in 2011 was a "before and after" look at my front yard. The choice of October 9th is entirely due to the existence of previous year photos on the same day. There are not as many photos taken prior to my blogging days as there are now. The October 9th post has become a tradition now. To see the starting points from October 2011 click here. Today is the third anniversary of this blog. Three years, 403 posts about my garden and gardening adventures and three hundred thousand pageviews from Readers Like You. Wildlife Wednesday is an opportunity to share wildlife visitors to the garden and I'm linking to Tina's post at My Gardener Says... which appears on the first Wednesday of each month. This month I'll focus on special bird visitors to the garden. 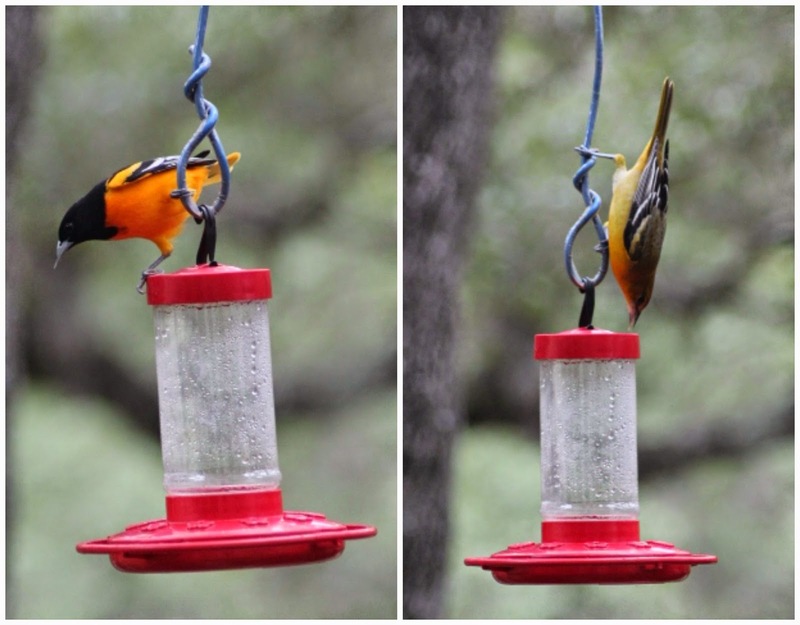 A big surprise in September was watching a pair of Baltimore Orioles trying to pry open the hummingbird feeder.